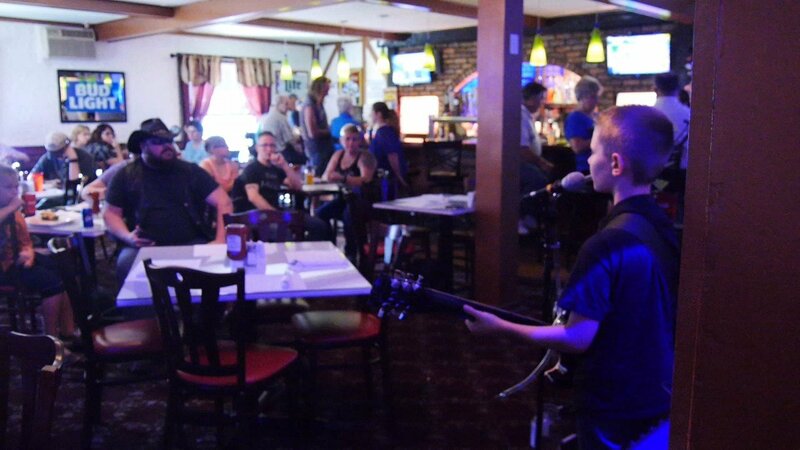 A young guitarist is shredding through the local bar scene, and get this, he's just 8 years old! Eamonn Hubert plays gigs in a duo with his dad, Doug, as well as filling the slot of lead guitarist in local band Hot Dogs and Gin. "You hear a band playing and you expect to see a bunch of guys, of adults standing around," says Doug Hubert, "And then, their like, there's a little kid there!" The 4th grader can play classic rock songs better than many adults. Standing in the middle of the bar area at Food Fusion in Endicott, wearing a t-shirt with a guitar graphic on it, Eamonn says casually, "I started getting really serious when I was 5 and started playing out when I was 6." His dad says even before he got "serious," Eamonn was drawn to guitars. Doug, a local musician himself, played Irish tunes around the area. He says Eamonn would just pick up his guitars and carry them around the house as soon as he could walk. "I thought, that's pretty cool that my dad plays, maybe I could learn," says Eamonn. Doug taught him a few chords, which the then-5-year-old mastered in no time. "He pretty quickly got beyond where I could help him," says Doug. Eamonn's parents knew it was time to enlist some help. Eamonn took lessons and started sitting in with local bands to learn the ropes. "And here I am today, playing music," says Eamonn simply. On any given Friday night, the Huberts pack up their gear and play a 3 hour set at local bars. "My main place to play is bars, which is weird," laughs the 4th grader. Besides lots of practice, Eamonn has another secret weapon on his side. He has "perfect" or "absolute" pitch. Eamonn can hear a note and identify it by letter name, then reproduce it on an instrument. It's a phenomenon researchers say occurs in only one out of 10,000 people, many of whom are autistic like Eamonn. His parents first started to notice this ability when he started assigning musical keys to household items. "Oh, the air conditioner's in the key of "C" and you'd pull out the phone and check it and sure enough that's what it is," says Doug. While Eamonn gladly accepts tips in his jar labeled "College Fund," which is about 10 years down the road, it's not about the money. "It's just something that I love," says Eamonn. 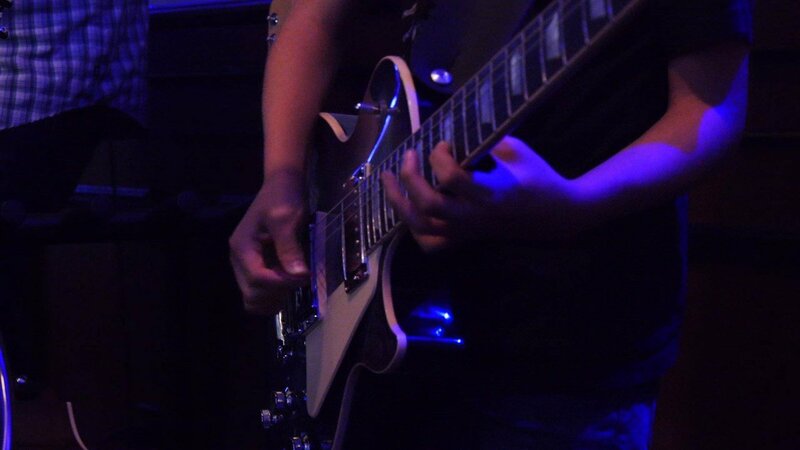 Eamonn says there's just something about having a guitar in his hand. It just makes him happy.